Told you it was coming this month, and after a successful Kickstarter, Curious Panda finally released Rhythm Destruction! This one’s been in development since 2008 however, so for many people it’s been a long wait (four years! 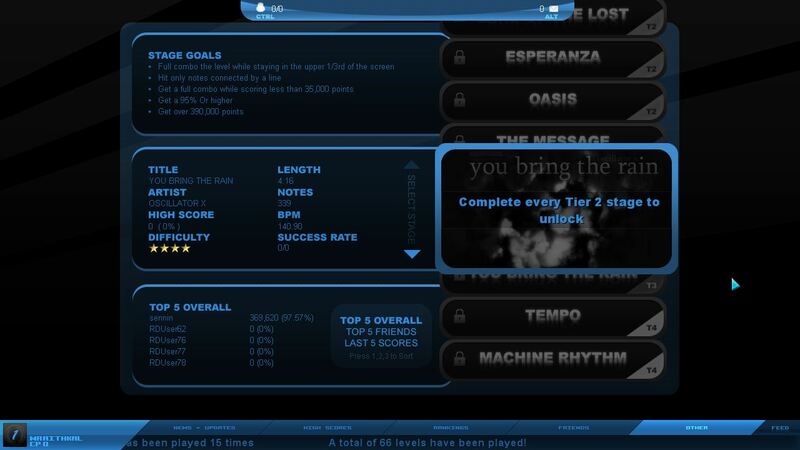 ), and what I’ve played so far has been nothing but good times. In Rhythm Destruction, the developer have successfully merged DDR and SHMUP by replacing your ability to shoot with pressing the correct arrow(s) in a timely manner, just like in those crazy dancing games. But since you’re still able to move your ship, avoiding any collisions is still vital to your survival, along with dodging shots fired by hostile ships and stationary defenses. 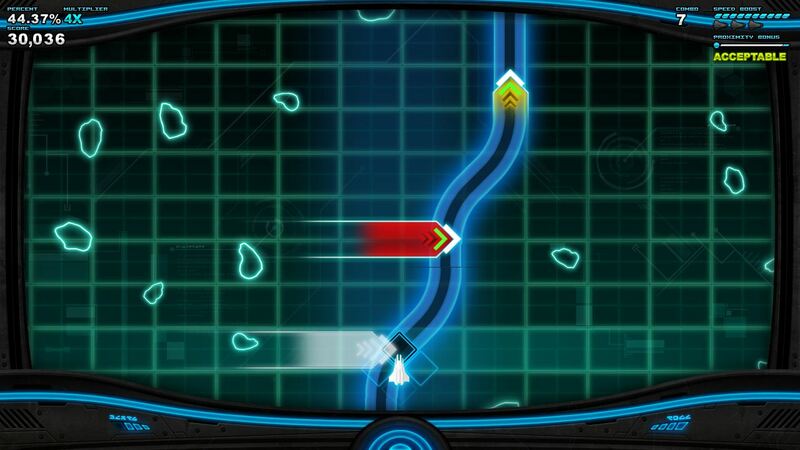 To mix things up even more, there is a section of each level called “hyper”, in which all you have to focus on is pressing the proper arrow keys (or buttons on your 360 controller), as you race along a pre-determined path, after which your performance is rated with a percentage. I have no idea why that’s part of the game, but since they’ve already mixed two completely different genres, I guess it could feel more out-of-place than it actually does. But while some things have changed due to the inclusion of DDR elements, Rhythm Destruction does stay true to its SHMUP roots in other ways: Each level has the typical oversized boss encounter, and holy crap do these guys ever take too much pleasure in spraying bullets all over your screen. On the other hand, isn’t the challenge what makes a game like this so much fun? I kinda doubt the likes of Gradius and Jamestown would be this popular, if they were easy.. There are currently a total of 10 levels in the game, but the developer have mentioned that there are plans for both premium and free DLC. Ten levels may not sound like a lot, but chances are you won’t make it through some of the later ones until after a few practice runs (just how a proper SHMUP should be!). Throw in a whoopin’ 71 medals that can be unlocked by completing objectives that range from setting a high score to ranking on the leaderboards, and there’s plenty to keep you busy here. 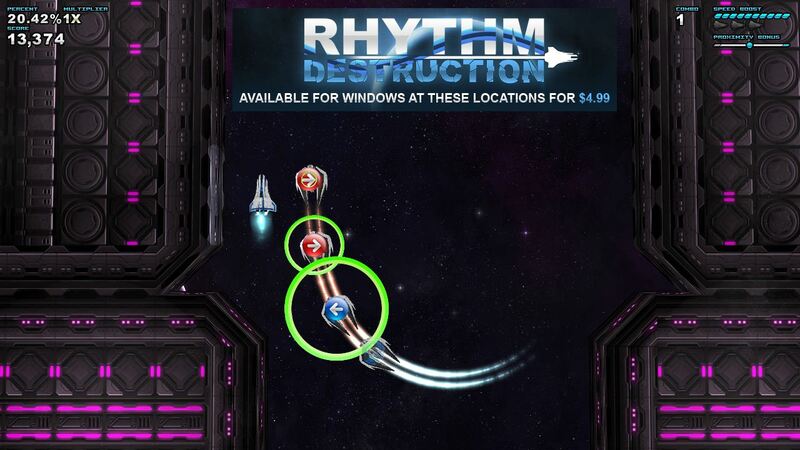 Rhythm Destruction is currently only available from the developer’s website for $5 (via. PayPal), but if you helped it on Greenlight, it just might become available on Steam as well. Official website, Facebook and Twitter (@Ruugard).